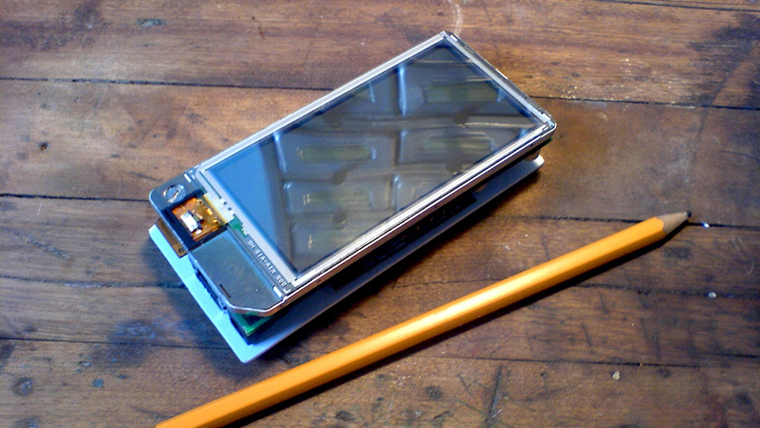 Over the course of several (pre-iPhone) years, Nokia hired Tellart to design and build a handset-prototyping toolkit. Our first versions of the kit were based around early handheld computers. By the final prototype, I was managing an engineering specialist to build us a single-board computer and cross-compiling countless programs for it using Open-Embedded. Nokia’s designers needed a platform for exploring new smartphone concepts that would allow them to design, build, test, tweak and iterate quickly–even in the field while performing user testing. Over a year before the release of their biggest competitor’s iconic touchscreen smartphone, Nokia knew they wanted to combine 16×9 touchscreens with a host of sensors to create gestural and environment-aware smartphones. After a series of experiments hacking PDAs with our Sketchtools toolkits and researching suppliers for components, we worked with a partner to design and manufacture a single-board computer. The result was a 1:1 scale Linux handset capable of running the Flash Player and our NADA server. The prototyping platform enabled designers to use design tools (Flash) and plug and play sensors to quickly sketch graphical and tangible user interfaces on a mobile device. There were lots of different ways that we could have designed the kit, and one of the most interesting aspects of this project was researching and documenting them so that Nokia’s designers could choose the solution that made the most sense for their goals before we built it.